DAYTON (WDTN) — A local man wanted on a burglary charge in Piqua was reportedly involved in a standoff in Dayton on Monday. Robert C. Foster, 37, of Piqua, was arrested after a standoff lasting several hours at a home on Rugby Road. According to our news partners at WDTN, Dayton police arrested him at around 6:45 p.m. after an eight-hour standoff, Lt. Eric Sheldon said. Foster surrendered peacefully, he added. Officers went to a home in the 2300 block of Rugby Road Monday morning to arrest Foster after receiving a call from Piqua police, Lt. Sheldon said, with SWAT arriving to provide assistance around noon. The home belongs to a relative of Foster, Lt. Sheldon said. Three other people who were inside the home got out safely, Lt. Sheldon added. Starting at about 2 p.m., authorities began shooting non-lethal gas into the home in attempts to get the man to leave. Several surrounding streets were blocked off as police and SWAT teams secured the area. Drivers were not allowed to enter the neighborhood, and people who were within the perimeter while the standoff was happening were not permitted to leave. Foster was arrested and taken to the Montgomery County Jail. He faces additional charges, including inducing panic, according to authorities. Foster is wanted in Piqua for first-degree felony aggravated burglary stemming from an incident on Jan. 27 on the 1000 block of Jill Court in Piqua. The resident of the apartment came home and saw two male subjects in his apartment. 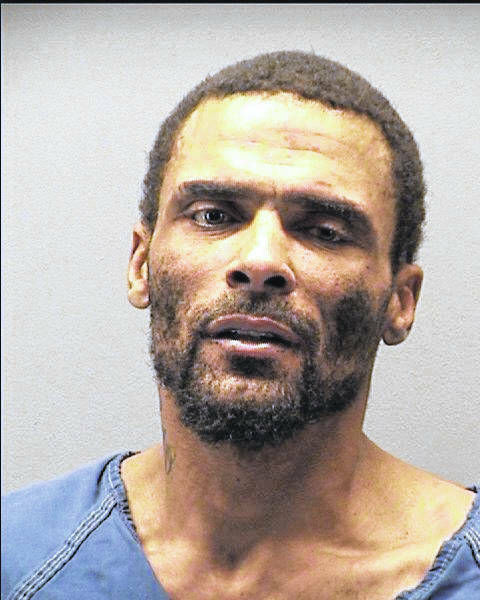 According to previous reports from the Piqua Police Department, a short physical confrontation ensued, during which Foster reportedly produced a gun and fired a single shot. No one was hurt during the incident. A gun was reported stolen from this apartment as well. Devon C. Brown, 19, of Piqua, was also charged with first-degree felony aggravated burglary in connection with this incident. Brown was released from the Miami County Jail on Jan. 31 after posting surety bond. A preliminary hearing for Brown is currently scheduled for this week. Sam Wildow contributed to this story.